Happy Canada Day to you. Have a wonderful weekend. have a wonderful weekend and Happy 4th of July too! can't wait to hear about your Vermont Quilt Festival trip...what did you think of the show this year? 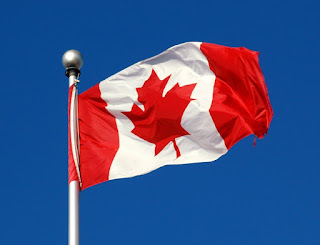 Carole, Happy Canada Day to you--better late than never, right? I actually just returned Tuesday from a week in Canada. My MIL was born and raised in Canada, but has spent most of her life in the States. We had a family reunion in Canada on Canada Day, and we spent some time before and after in the National Parks of the Canadian Rockies. It was a great trip, but the wrong weekend to be in the parks! I have sung "Oh Canada" twice now and can hum the tune pretty well.